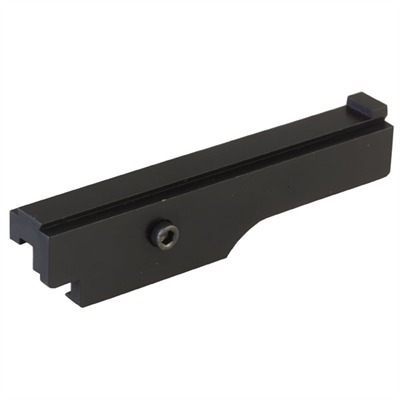 Sturdy, machined aluminum mounts let you improve sighting and accuracy. Compact and lightweight, with a full-length rail that accepts 3/8" scope rings. Clamp-On mount positions the scope along the right side of the receiver. Does not interfere with bolt operation and requires no modifications to rifle. Permanent Mount positions scope to the left side of the receiver. Requires drilling and tapping for three, 10-32 screws. SPECS: Aluminum, anodized, black finish. Clamp-On - 5-3⁄8" (13.7cm) long, 1" (2.5cm) high. Permanent Mount - 3½" (8.9cm) long, 5⁄8" (15.8mm) high.